When you’re thinking of the perfect gift for a friend or loved-one, there’s one reoccurring theme that will always pop up whoever the name on the gift tag is. This theme is that you want them to feel spoiled when they peel back the wrapping paper and see what’s been hiding underneath the tree. But, hand-picking the perfect gift is easier said than done, it’s not always smooth sailing when it comes to finding your nearest and dearest the ideal present. So where do you begin? Well, right here is the perfect place to start. If you know that they love skincare, a gift set is a convenient way to treat them, whether that’s with skincare they know and love or new products that they are yet to discover. Some may call it an opt out, but I call it a gift that just keeps giving! Skincare will not only make them feel truly pampered it will also help to combat any skin issues that they’re living with. If you suffer with problematic skin yourself you’ll relate to the frustration and upset that skin issues can cause, so a gift that helps to reduce and combat that sounds magical to me, and may be life-changing for them. What’s Inside: African Red Tea Foaming Cleanser 45ml, Sheer Transformation 15ml, Truth Serum Collagen Booster, Ultimate Lift Eye Gel 7.5ml, Invigorating Night Treatment 15ml. The Celebrate the Works Gift Set has everything someone will need to impart a healthy radiance to their complexion. With a product to fit every step of their regime, the comprehensive collection will leave skin thoroughly cleansed, moisturised and exfoliated (yes, I said exfoliated! The Invigorating Night Treatment works over night to remove dead skin cells). 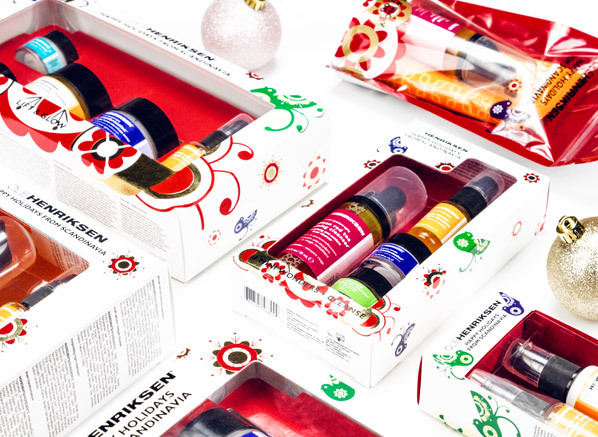 The perfect introduction to the Ole Henriksen brand, Celebrate the Works will make a gift that completely transform how they feel about skincare. What’s Inside: African Red Tea Foaming Cleanser 45ml, Sheer Transformation 7g, Truth Serum Collagen Booster 9.76ml, Invigorating Night Treatment 7g. 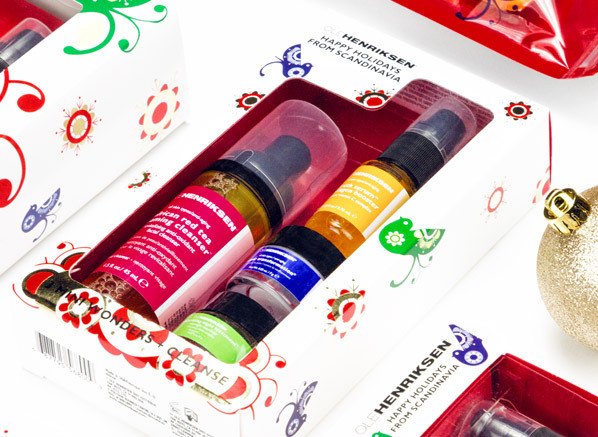 The Three Little Wonders Gift Set is the crème-de-la-crème of stocking fillers! Comprised of four minature sizes of Ole’s best-selling products, this gift set will open their eyes to the incredible work good skincare can do. 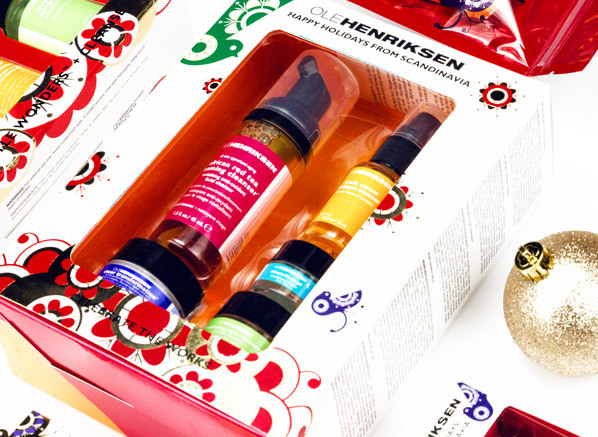 If you’re already a fan of Ole Henriksen and you want your friends to get in on the secret, this gift set is the perfect candidate. A cleanser, serum, moisturiser and night treatment will ensure their skin glows, and their smile beams with happiness. What’s Inside: African Red Tea Foaming Cleanser 104ml, Truth Serum Collagen Booster 30ml, Invigorating Night Treatment 30ml, Sheer Transformation 30ml. If you’re serious about skincare, and even more serious about gift buying, the Three Little Wonders Bonus Gift Set will be the answer to your shopping prayers. The skin-reviving set features some of Ole’s most raved about products, including the daytime anti-ageing Truth Serum, a serum that contains 5 source vitamin C complex which brightens and boosts the skin’s collagen levels, thus smoothing fine lines and wrinkles. So, if you know that signs of ageing are playing on their mind, this will be a gift they never stop thanking you for. What’s Inside: Ultimate Lift Eye Crème 7ml, Ultimate Lift Eye Gel 7ml, Pure Truth Melting Cleanser 30ml, Sheer Transformation 30ml, Truth Serum Collagen Booster 15ml. Everyone loves a pamper, whether its after a long, hard day at work or an intense workout at the gym, there’s nothing better than a little me-time. When you’re stuck for gift ideas a pampering gift set can be a saviour, you know it’ll be a gift they use and ultimately enjoy. The Lift and Glow Gift Set offers five pampering products that will leave their skin feeling soft, supple and youthful. With a luxurious melting cleanser that will rid the skin of makeup and dirt and a collection of products for the eyes and face, this gift set is the ideal pick for someone that deserves a little pick-me up. What’s Inside: Pure Truth Youth Activating Oil 15ml, Truth Serum Collagen Booster 15ml. If they’ve heard about the infamous ‘Ole Glow’ then the Merry and Bright Gift Set will ensure they’re well on their way to experiencing the brand’s promise of a brighter, healthier complexion. The powerful duo will boost and beautifiy their skin and help nourish and hydrate the skin deep down. A luxurious stocking filler that will make them feel like a million dollars, the vitamin C powered double act will ensure their skin is as merry as they are. What’s Inside: African Red Tea Foaming Cleanser 45ml, The Clean Truth Cleansing Cloths 10-pack. 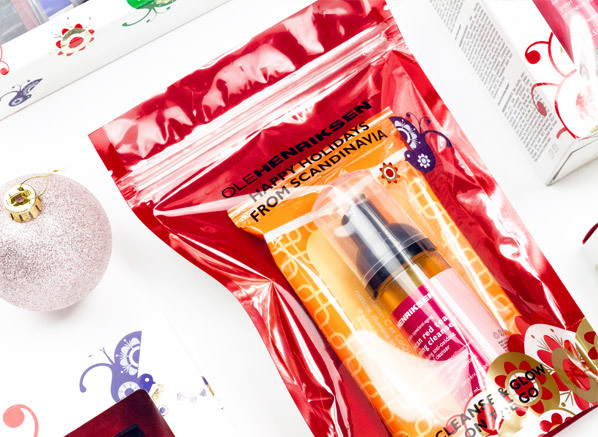 The Cleanse and Go On The Go Gift Set contains two of my all-time favourite Ole Henriksen products. They’re products that almost anyone can use and enjoy, and that’s why it would make the perfect secret Santa gift! The African Red Tea Foaming Cleanser creates an indulgent foam that leaves the skin fresh and clean when you want a thorough cleanse, and when you’re short for time you can grab the Clean Truth Cleansing Cloths that are enriched with vitamin C. Ideal for gym bunnies or someone that’s always travelling this duo will keep their skin clear and refreshed. This entry was posted on Friday, December 4th, 2015 at 11:35 am and is filed under Christmas, Christmas Gifts, Skincare. You can follow any responses to this entry through the RSS 2.0 feed. You can skip to the end and leave a response. Pinging is currently not allowed.